What's ahead for you in 2013? | Primary Planet! 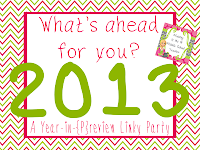 What's ahead for you in 2013? 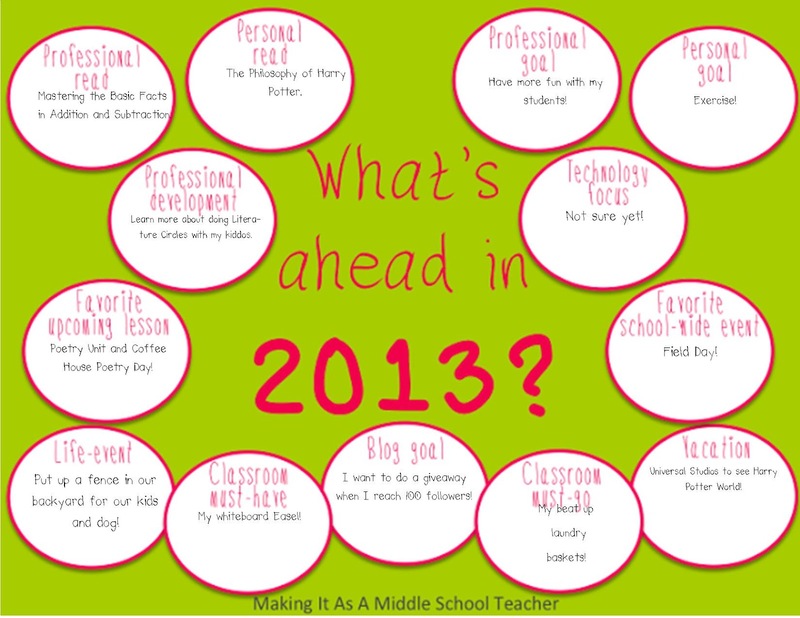 I am linking up with Making it As a Middle School Teacher for her What's Ahead for you in 2013 Linky Party! Hi Hilary! Thanks for stopping over to my blog and following. I love your professional goal...sometimes that can be really hard, but boy is is worth it! I'm not sure if you can use it, but I have a cute Poetry Detectives graphic organizer for your poetry unit that I can email you if you want. Let me know! Also, if you need contributors for your 100 follower giveaway, let me know! I'd be happy to help out! Wow Nichole! Thanks. I would love to see your Poetry Detectives graphic organizer. Thanks! I loved reading your goals. What's your coffee house poetry day? I'd love to hear more about it. That sounds fun. I'm your newest follower too! Have a happy New Year! Thank you so much for linking up with me! Looks like you've got some great goals in mind for 2013. Best of luck with them! Thanks Michelle! It should be a great year!